Flying into the Gold Coast was a slice of heaven served on the beach, with a side of turquoise. Just when I thought the beaches couldn’t get any better than the beaches around Sydney, they did. When I speak of the Gold Coast I am not referring to the typical visited Surfers Paradise, but rather the coast South of Surfers. 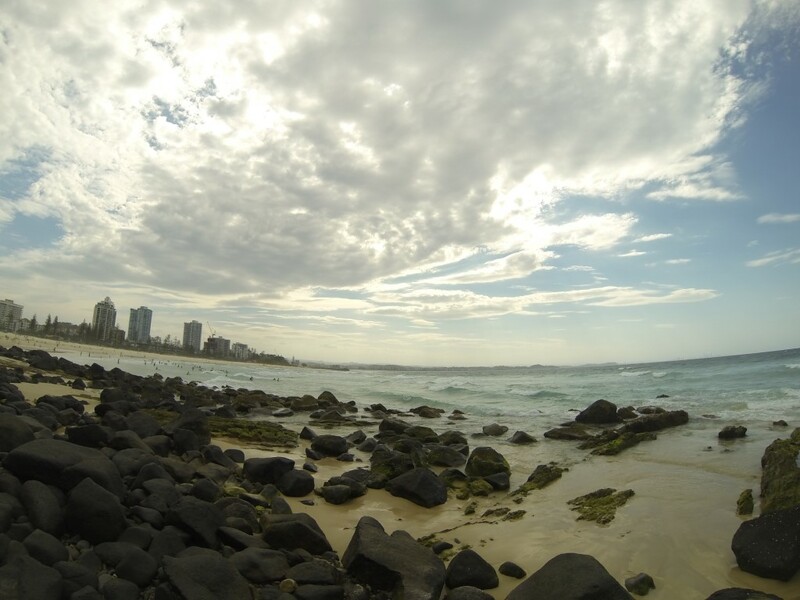 Surfers Paradise is a large commercial city full of tourists. 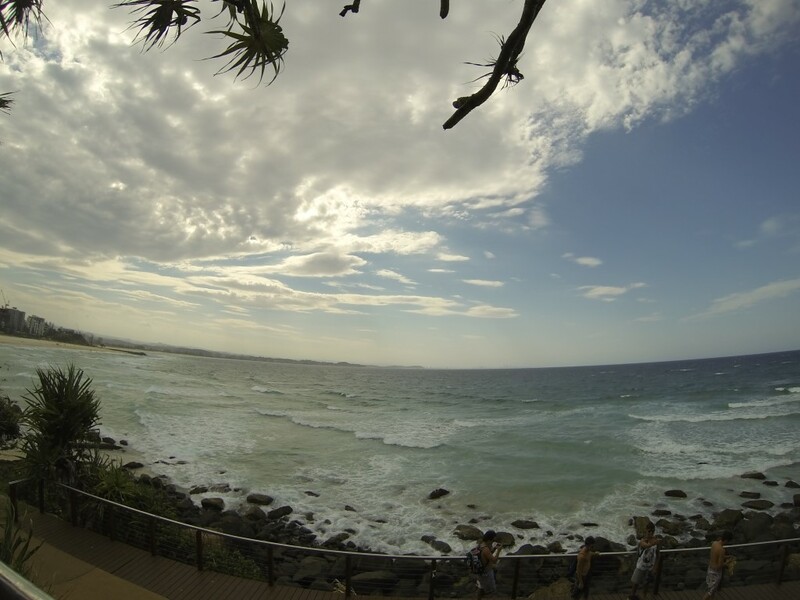 The sky risers take away from the brilliance of the turquoise Gold Coast. Nevertheless, Surfers is definitely still worth the visit. The view from the Sky Point Tower of the Gold Coast is unlike anything you will get anywhere else. For me, Surfers in a day is enough. 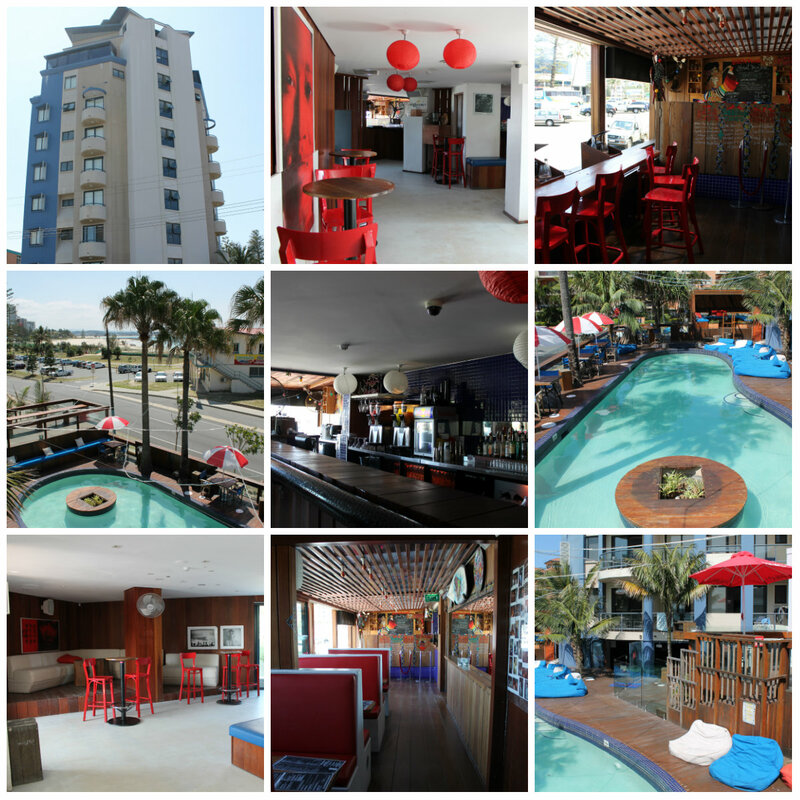 Rather than staying in the busy “backpackers hostel city” of Surfers Paradise, I chose to have a more local and authentic experience by staying in Coolangatta, 25 kilometres South of Surfers. 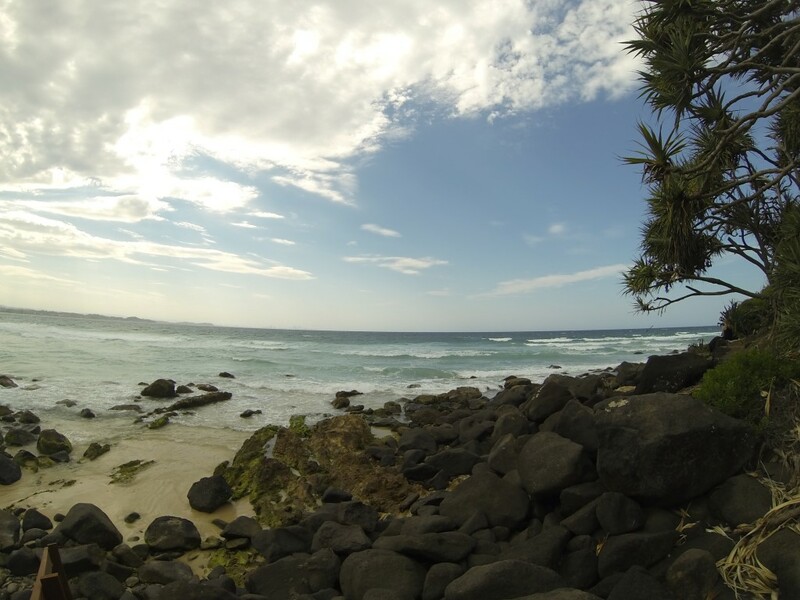 I stayed at Komune, directly across from Greenmount beach and just a hop, skip, and jump from Coolangatta Beach and Snapper Rocks (which is considered one of the best surfing spots on the Gold Coast). 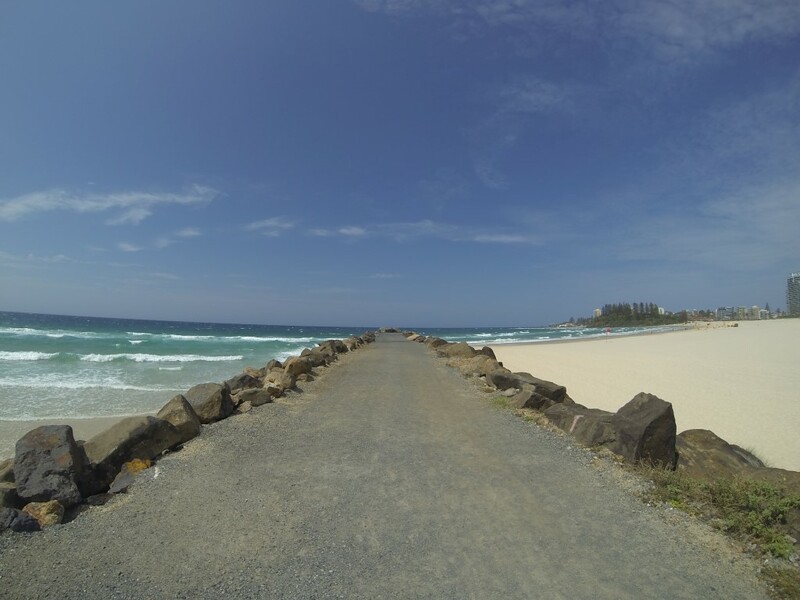 Other close sights I frequented included Broad Beach, Point Danger, Rainbow Bay, Kirra Point, Kirra Beach, Currumbin, Currumbin Beach, Elephant Rock, while also seeing spectacular views of the Gold Coastline. Komune is the best hostel I have stayed at in the 7 months I have been traveling! I highly recommend it. 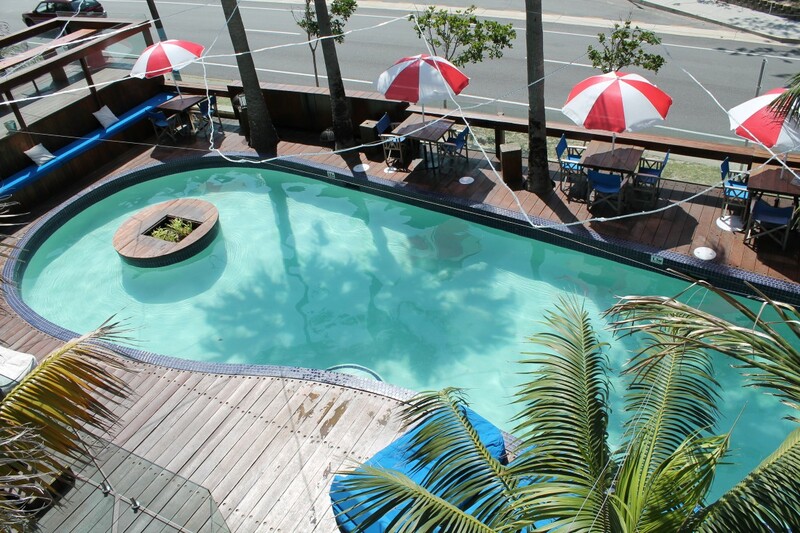 The hostel is within in the hotel of Komune and is across from the beach, has a pool, pool-side loungers, free Wi-Fi (which is hard to come by in Oz), and free breakfast. The dorm rooms include: bed linens, towel, bag size locker (huge), ensuite bathroom, washer machine in each dorm to use freely, and a balcony OVERLOOKING THE BEACH. It honestly doesn’t get any better than that, at least not what I have experienced. All for just $28 a night, taxes included in a 6 to 8 bed dorm (female and mixed dorms available). I didn’t want to leave, plus I loved the Gold Coast squeaky beaches so much, but I knew I would need to move on eventually. I really felt at home in Cooly. Visiting the Gold Coast is exactly what I hope for in every place that I visit. The people I met at the hostel were amazing! Nothing makes a trip better than the people you meet along the way. I will forever have fond memories of spending my time in one of the most visited destinations in Australia—the Gold Coast. 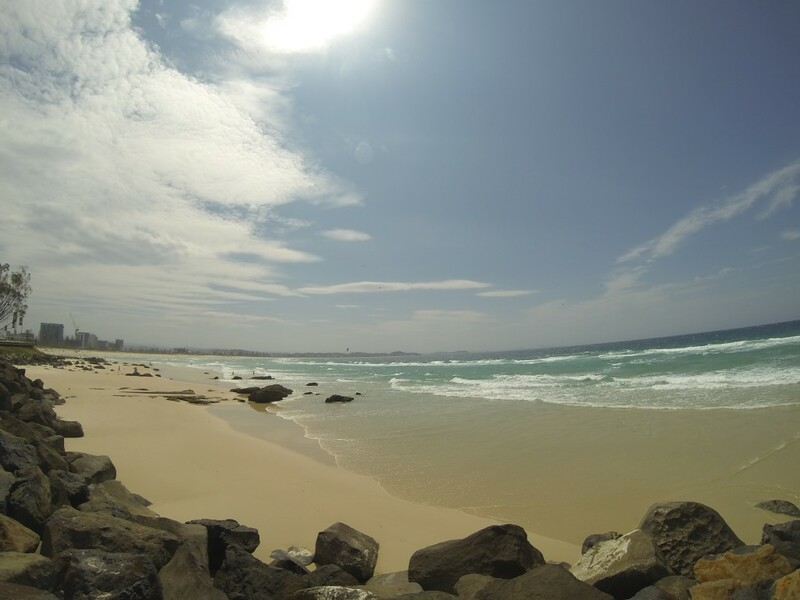 Yet, my experience is unlike most backpackers taste of the Gold Coast which is most typically just Surfers Paradise. 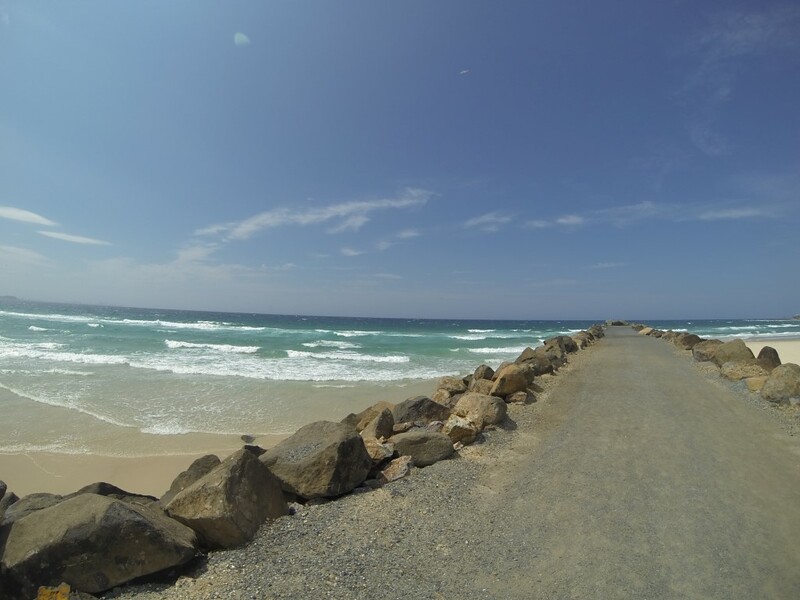 This entry was posted in Australia, Oceania, travel, Turquoise Travel and tagged Australia, Beach, coolangatta, Gold Coast, Komune, Travel, Try, Turquoise, Turquoise Compass by Turquoise Compass. Bookmark the permalink. Rippa! You can get all kinds of wi-if at Macca’s. Yes, but the Wi-Fi at Macca’s only works well enough to check e-mails and messages. It doesn’t work well enough to hold a Skype call or to do any blogging. Finding good free internet has been difficult. Wow Jessica, I would love to visit those beaches. Enjoy. Thank you so much Irene. The beaches here are amazing! Thank you so much for stopping by my blog Jane and for commenting. I appreciate your enthusiasm for the Gold Coast. 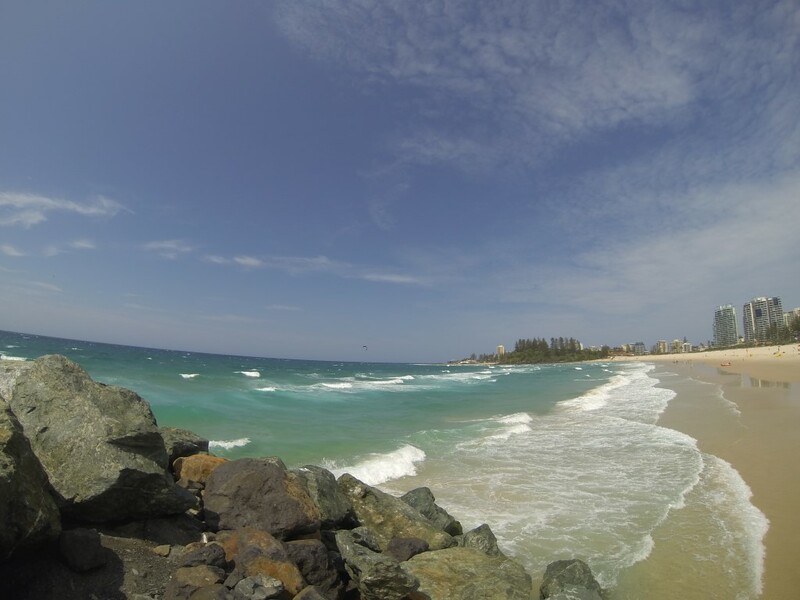 I had an amazing visit on the Gold Coast, beyond Surfers! I can’t wait to return!